Sorry I haven’t posted in awhile, but I have been on my vacation. I will post about it later but it has been a great trip. I was inspired to make this sandwich from a recent blog post from HelloNatural.co. I love ricotta cheese so I tried this adaptation and it turned out to be very delicious. Preheat the oven to 400 degrees Fahrenheit. Place the slices of bread into the toaster. Press or mince the garlic into a small bowl. Add the ricotta and 1 teaspoon of olive oil to the bowl and mix. 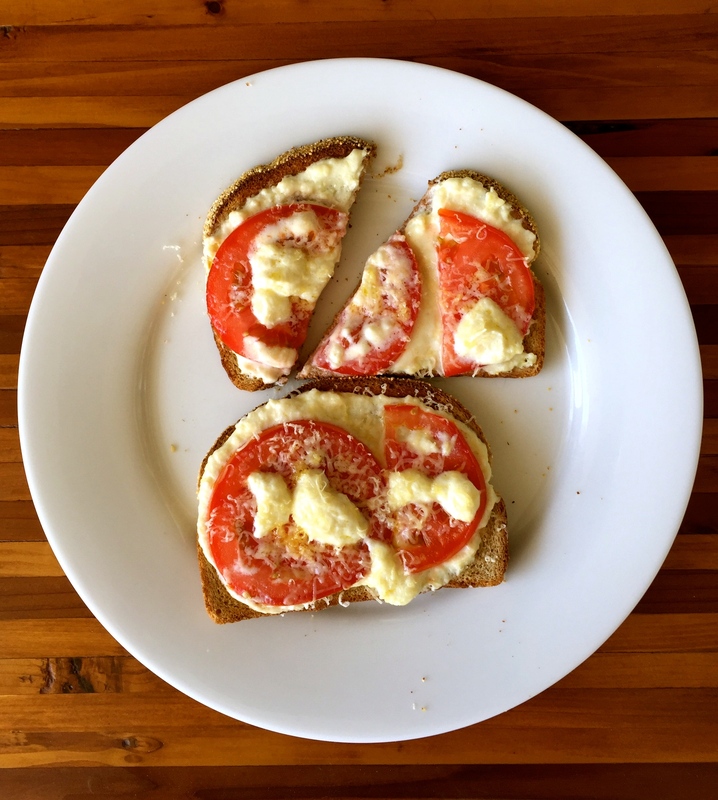 Once the toast comes out spread the ricotta mixture onto the toast and place the sliced tomatoes on top. Add a few drops of olive oil on top and add the parmesan cheese. Place in the oven until the cheese has melted and everything has warmed through. Enjoy!